Choosing a doctor has never been easier! Experience a level of convenience you haven’t had before with house calls. As a house call chiropractor, I come to you so you can get the care you need without the inconvenience of traffic, waiting rooms, or packing up the family to make it to the chiropractor. This means quality care in the comfort of your own home and more time to spend with your family and doing the things you love. In a typical chiropractic setting, you sit in a waiting room for sometimes 20 minutes to spend less than 5 minutes with the doctor. As a house call chiropractor, I am able to spend 30 minutes with you and provide more comprehensive and personalized care so you can feel better faster. Treating you in your own home allows me to assess you on a deeper level, so I can treat you as a whole and not just your symptoms. I know you don’t have the time to go to the chiropractor and appointment times don’t always fit into your lifestyle, that’s why I provide you with convenience of house calls. Let chiropractic care come to you so you and your family can receive the care they need to stay healthy and live life to the fullest! 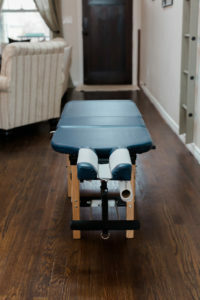 I choose to become a house call chiropractor because I saw the need for more time with my patients. Before house calls, I was constantly rushed from appointment to appointment and never had enough time to spend with my patients. I decided to provide my patients with higher quality care in an environment where they felt comfortable and have the time to ask me questions and get the solutions they are looking for. I believe listening to my patients is one of the most important things I can do as a doctor. Understanding your past health history and how you feel helps me find the true root of your health issues. With an understanding of your heath history and current symptoms I can provide you with the solutions you are looking for so you can start seeing results NOW! If this is your first visit, Dr. Lauren will arrive at your home at the convenient appointment time you chose and perform a thorough examination, review your health history, and proceed with personalized care. This initial visit will last about 1 hour and will include your first adjustment if deemed appropriate. After establishing you diagnosis and care plan, Dr. Lauren will schedule a follow up appointment. Follow up visits will last anywhere from 30-45 minutes depending on your diagnosis. 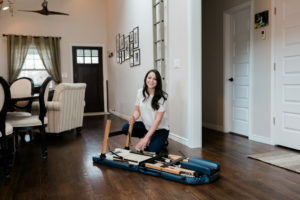 Dr. Lauren will always bring everything she needs to provide you with comprehensive chiropractic care. Each visit will be personalized to you and your body so you can feel better faster and reach your health goals sooner! Dr. Lauren provides house calls to individuals and families in Denver and its surrounding neighborhoods. Schedule your free 15 minute phone consultation today!